The electronic version of edition is the same as the printed one. Publisher: Ternopil Volodymyr Hnatiuk National Pedagogical University. 1. Scientific Issues of Ternopil Volodymyr Hnatiuk National Pedagogical University. Series: Pedagogy.2. Scientific Issues of Ternopil Volodymyr Hnatiuk National Pedagogical University. Series: History. 3. Scientific Issues of Ternopil Volodymyr Hnatiuk National Pedagogical University. Series: Geography.4. Scientific Issues of Ternopil Volodymyr Hnatiuk National Pedagogical University. Series: Biology.5. Scientific Issues of Ternopil Volodymyr Hnatiuk National Pedagogical University. Series: Literary Studies.6. Scientific Issues of Ternopil Volodymyr Hnatiuk National Pedagogical University. Series: Linguistics.7. Scientific Issues of Ternopil Volodymyr Hnatiuk National Pedagogical University. Series: Art Studies.8. Scientific Issues of Ternopil Volodymyr Hnatiuk National Pedagogical University. Series: Chemistry.9. Scientific Issues of Ternopil Volodymyr Hnatiuk National Pedagogical University. Series: Economy.10. Scientific Issues of Ternopil Volodymyr Hnatiuk National Pedagogical University. Series: Philosophy. 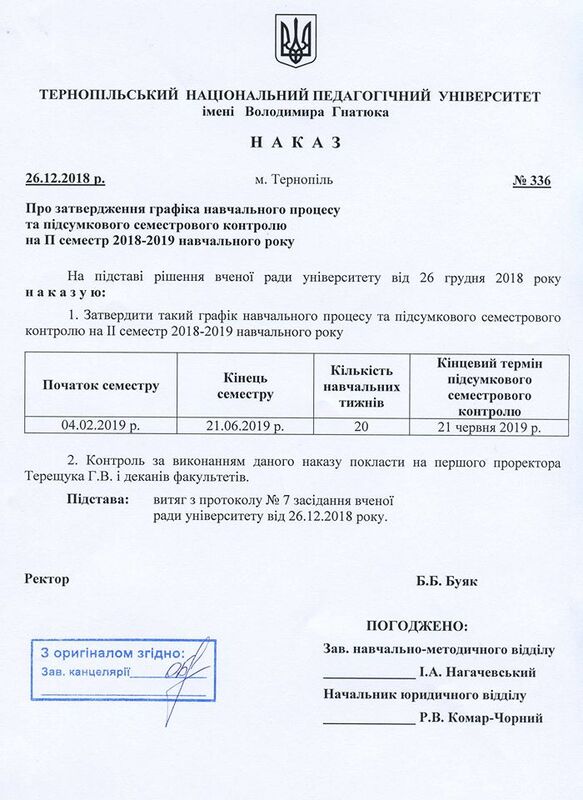 According to the decision of Ministry of Education of Ukraine # 1-05/7 from November 10, 2010 the journal is listed as a scientific professional edition of Ukraine (“Geography”). Editorial board: Zastavetskii T.B., Kovalchuk I.P., Nahirna V.P., Niemets L.M., Olinyk Ya.B., Pistun M.D., Pozniak S.P., Rudenko V.P., Syvyi M.Ya., Stebelskyi I.B., Topchiyev O.H., Tsaryk L.P., Shyshchenko P.H. According to the decision of Ministry of Education of Ukraine # 1-05/5 from July 01, 2010 the journal is listed as a scientific professional edition of Ukraine (“Philology”). Founded in 1993, Studia Methodologica is the journal of methodological research. Studia Methodologica publishes articles on literature theory, linguistics, and philosophy. It acts as a forum for the presentation and discussion of research and concepts. Editorial Board: Alexeev Yu.M., Aleksiyevets L.M., Aleksiyevets M.M., Barmak M.V, Bonusyak V., Vidniansky S.V., Drozd R., Zulyak S., Klymeniuk O.V., Kravets V.P., Lytvyn M.R., Makar Yu.I., Yarovyi V.I.